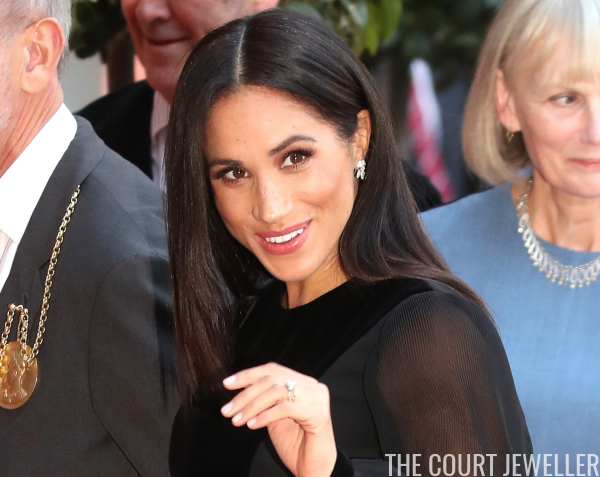 On Tuesday, the Duchess of Sussex embarked on her first solo engagement as a member of the royal family, attending a major new exhibition of Oceanic art at the Royal Academy of Arts in London. The timing of her visit to Oceania is fortuitous -- Meghan and Harry will head out on their first royal tour next month, visiting several countries in the region, including Australia, New Zealand, Fiji, and Tonga. 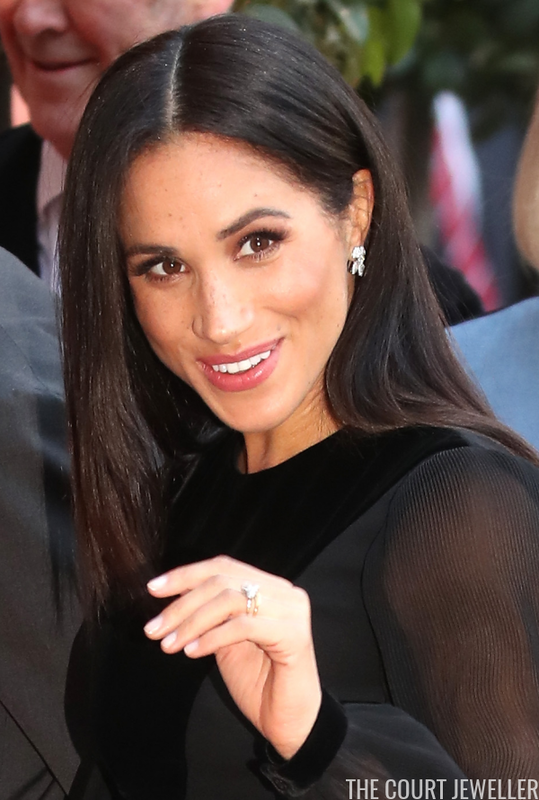 For her visit to the academy, Meghan wore a familiar pair of earrings from her jewelry box: the Snowflake Snowstorm earrings by Birks. She also wore her engagement and wedding rings, along with a few other slim gold bands. Here's another view of the earrings and rings. And here's a look at Meghan's entire ensemble for the occasion.